The amphibious boat was not supposed to operate in water if winds in the area clocked in at 35 mph or waves were higher than 2 feet, according to the vessel's certificate of inspection, released by the U.S. Coast Guard. 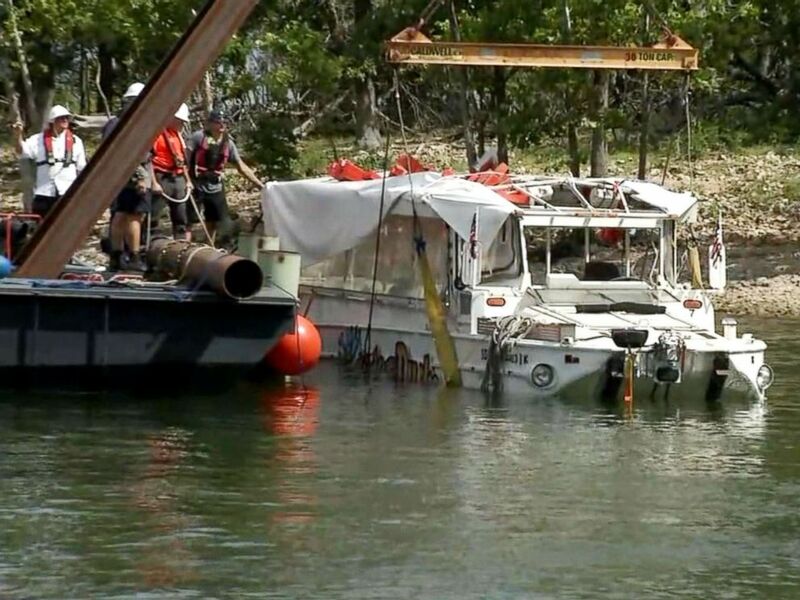 Twenty-nine passengers and 2 crew members were on board the Stretch Duck 7 on July 19, when it sank in Table Rock Lake near the tourist town of Branson, Missouri, as thunderstorms rolled into the area. The boat landed upright on its wheels. While Captain McKee survived, the driver and former Pastor Bob Williams, 73, died in the accident. 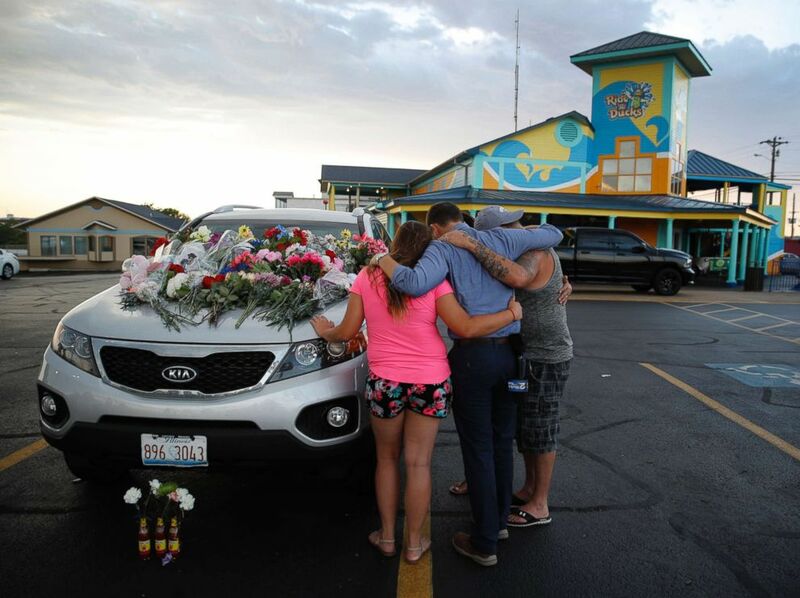 People pray by a car thought to belong to a victim of Thursday's boating accident before a candlelight vigil in the parking lot of Ride the Ducks, July 20, 2018, in Branson, Mo. Several lawsuits have been filed on behalf of victims and survivors, including a $100 million federal lawsuit filed in Kansas City, Missouri, by lawyers representing victims of the Indiana family that lost nine relatives in the accident. All but two members of the Coleman family who went on that duck boat excursion were killed in the accident. Tia Coleman lost her three young children and husband. Arya Coleman, only 1 year old, was the youngest to die and Ervin Coleman, 76, was the oldest. In a statement through her attorneys following the indictment, Tia Coleman said "While nothing can ever ease the grief in my heart, I am grateful that the U.S. Attorney’s Office is fighting for justice for my family, and the other victims, and is committed to holding fully accountable all those responsible for this tragedy." Also among the victims were two couples from Missouri, an Illinois woman who died while saving her granddaughter’s life, and an Arkansas father and son. "The captain did say something about life jackets," Tia Coleman said following the accident. "He said, 'Above you are your life jackets. There are three sizes. I'm gonna show you where they are, but you won't need them. So, no need to worry.' So we didn't grab them." The NTSB report on the accident does not mention the captain saying passengers wouldn't need the life jackets. McKee did not respond to ABC News' request for comment. "We continue to fully cooperate with federal and state authorities, including the National Transportation Safety Board," the statement added.